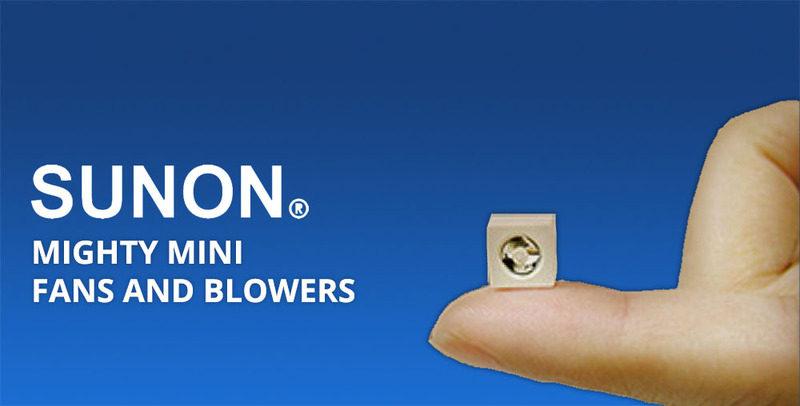 Mighty Mini Fans and Blowers » HHP Associates, Inc.
To meet the trend for reducing the size of portable devices, Sunon Mighty Mini fans and blowers allow product designers to meet the limited space requirements for heat dissipation or compulsive air convection designs. Mighty Mini fans and blowers meet the cooling needs of a variety of micro products, including PDAs, smartphones, GPS modules, PMPs, UMPCs, and portable fuel cells. With this new technology, Sunon can help clients create the best palm-sized products possible. Supported by Sunon’s superior research and development technologies, Mighty Mini fans possess the advantages of exceptionally low noise and lowest power consumption. The patented sub-centimeter breakthrough technology of these products is a unique innovation with their mature thermal technology having passed numerous reliability certifications. 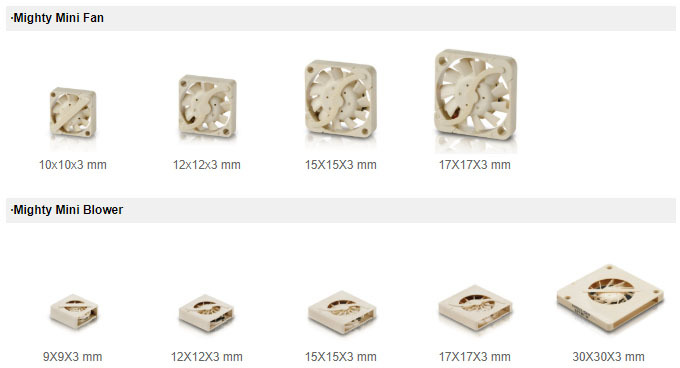 These special IP55 rated fans and blowers have been tested at an average temperature of 75°F at 67% RH for dust water testing (excluding size 8 x 8 x 3).These fans and blowers have been widely adopted in IT devices, telecommunication, consumer electronics, medical electronics, and security devices.